After a few short years of tropical island paradise, followed by a year or two of debauchery, Koh Rong is an island in flux, as it adjusts to the massive increase in tourism and resulting environmental strain without losing the chilled out character that made it so popular in the first place. Don’t worry, Koh Toch Beach is still beautiful. So what’s been happening on Koh Rong lately? Good things! First, there’s been a push for environmental conservation, beach cleanup, and wastewater management. None of these things seemed like a big deal with there were only 20 tourists landing on the island each day, but now during high season there can 1,000 or more people landing on Koh Toch, and it’s put a massive strain on the island’s resources. But now the businesses are banding together to push for sustainable practices and products—you’ll now find bamboo straws and re-usable drinking bottles at the more tuned-in businesses. There are more and more “high-end” accommodations being built. Most of them still leave a lot to be desired, but at least there’s now easily accessible air-conditioning on the island. That said, the best places on the island are still, in my opinion, the simple wooden bungalows with a hammock outside and a view of the sea. Koh Toch village is filling up fast with more and more guesthouses, restaurants, and hotels, as well as a range of ancillary businesses such a pharmacy, WING outlet, and laundry shops. 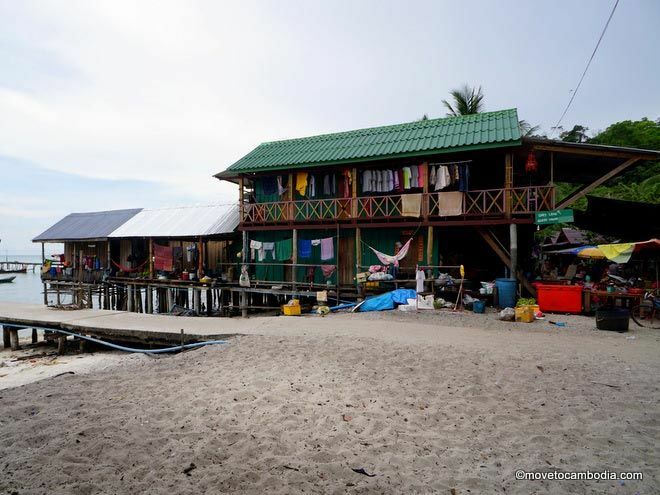 It’s no longer a fishing village as it once was, and it appears that all of the locals have moved out and rented or sold their land to tourism-oriented businesses. This part of the island is starting to look a lot more like Thailand’s Koh Phi Phi, without the paved roads. The plus side of that is that there’s wifi just about everywhere, you can even take out cash on your credit card (for a hefty fee, of course) and if you run into trouble there’s a fully stocked medical clinic who are equipped to patch you up or get you on a speedboat to shore if necessary. Although they aren’t paved, the roads through the interior of the island are now in usable condition and it’s possible to drive from one village to the next. In other words, motos have come to Koh Rong. There are even a few homestay-style accommodations being built in the island’s interior and there are certainly more to come. It’s called Long Set Beach. Over on Long Set Beach, a few English people have decided to try rename it 4k Beach despite the fact that the beach is not 4 kilometers and already had a name in Khmer (Long Set is the name of the Cambodian farmer who used to have a cashew plantation there). This is not a change I support and in fact, find somewhat distasteful. Keep the original name, guys. In addition to the attempted name change, Long Set Beach has seen a significant amount of construction, and there are now several nice mid-range accommodations as well as a few casual restaurants, a bar, massage place, and tent rentals. Nest has also added an air-conditioned dorm, and it’s easily the nicest on the island, plus they have gotten a new chef who is cooking up objectively excellent grub. Despite the influx of new businesses, the beach is still relatively empty and has that laid-back vibe that Koh Toch, now party central, had five or six years ago. In other words, go now, before everyone else does. There is no doubt that the increased ferry coverage has helped encourage the tourism expansion to different parts of the island. There are now daily direct speed ferries to Long Set Beach as well as Sok San Beach. Hit Sok San Village for an authentic Cambodian experience. Perhaps the most dramatic change has been to Sok San Village, where it appears the villagers have seen what happened on Koh Toch and want in on the action. To that end, they’ve been throwing up bungalows as quickly as they can. When I visited there I only saw one or two other visitors, and dozens of bungalows were sitting empty. Although the village was devoid of tourists (it’s low season) the place was still heaving, with ear-splitting karaoke going on until all hours, drunk locals carousing down the village’s only street, and keeping me awake arguing about, if I understood correctly, crab legs. Although Sok San Village is in a beautiful location, they are clearly careening towards all of the problems that have plagued Koh Toch. It’s a shame they haven’t learned from the mistakes on the other side of the island and attempted to build something more sustainable, and frankly, more appealing. Instead they have thrown up dozens of overpriced bungalows practically on top of each other, most without sea views and in the heart of the village (stay tuned for reviews). It seems as if they have purpose-built a backpacker shanty-town, and I shudder to think of what the place will look like in a few years. Sok San Village is filling up with bungalows. For now, though, Sok San Village is almost entirely devoid of foreign influence. There is a Western-run restaurant and a dive shop, but for the most part, despite the bungalows, this is still a real Cambodian fishing village, karaoke and all. For visitors who don’t have time to make it to the countryside, Sok San offers the chance to see what Cambodian village life is like, and if you’re buying the beer, get down with the locals. For the most part, the changes to the island have been positive. The business owners on Koh Rong are working really hard to clean the place up and improve the island’s reputation, and it’s already starting to show. 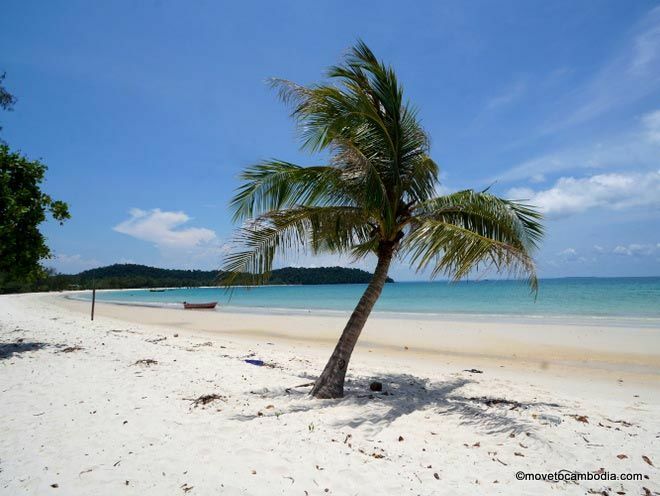 This entry was posted in Koh Rong, Islands and tagged Long Set Beach, Nest Beach Club, Sok San Village, Koh Toch. Bookmark the permalink. 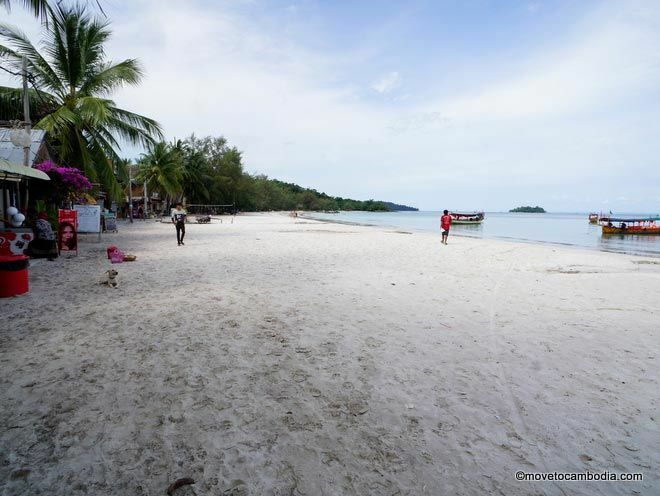 Talking to locals last time on Koh Rong, they viewed it all as positive. One young man told us that he can now afford to have his own place, get married and support a family, where before he definitely couldn’t have. The beaches are way cleaner now (from 3 years ago it was pretty bad) and definitely more health awareness for all island inhabitants. Not all islands end up that way… Koh Lanta in Thailand is still lovely, and somewhat developed. Hi Lina, is there anywhere around the island that we can moor our catamaran when we come over from Thailand? Is there 3G for internet that I can purchase on the island once I get there ? Don’t get me wrong, I still think Koh Rong is wonderful. The changes they are making are for the better. Exactly the same happened in Goa India which was truly paradise some 50 years ago. Now all the locals are gone and it is completely a dump with no fresh well water and only forigen run everything. Really a horror. 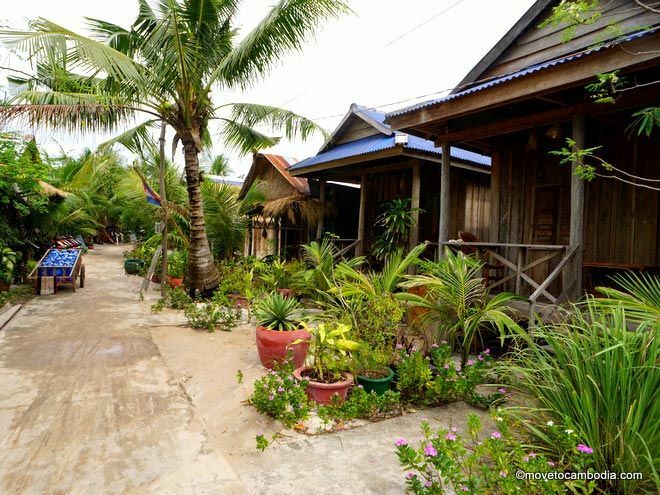 Before the development there were only a few families living on Koh Rong, in abject poverty. I honestly think the fact that they’ve been able to rent their land for high prices and move to much nicer homes is a good thing. Thank you ! Have you found an hotel with a reliable and fast internet connection ? Cannabis tourist wants a fast and reliable internet service. Nothing to see here ,go to Jamaica. When I will need a stupid opinion I will call you, thank you !